Being ‘present online’… requires having people with vision, understanding and dedication engaged in the effort of communication. Over the years I have become very clear on the important distinction to be made between ‘having an online presence’ and ‘being present online’. Having an ‘online presence’ is a technical reality requiring a website, hosting environment, servers, applications and so on, all of which are fundamental and without which there would be no virtual presence. Being ‘present online’, however, is a human reality. It requires having people with vision, understanding and dedication engaged in the effort of communication. It is about ‘being present to the other’ or ‘being engaged with the other’. Although taking place virtually, it is a human encounter in that the connection is with people and by people. We need to keep looking at our online presence and asking ourselves the questions: To whom are we speaking? Who are we reaching? How well are we saying those things that are ours to say? Anne Walsh was a pioneer of innovative online communication. Following many years in secondary school classrooms and administration, she worked with Adele Howard rsm at Fraynework to create award-winning digital resources which were used locally and internationally to communicate, educate and inspire. Since 2012 she has been a consultant in online communications to organisations who do “work that matters”. 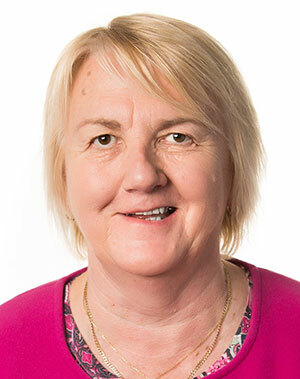 A teacher by training and commitment, Anne remains involved in education as a member of Marian College Stewardship Council, Sunshine, Deputy Chair of Academy of Mary Immaculate School Council, Fitzroy and a Director of the Vic/Sth Australian Education Board for Kildare Ministries. She is a member of Writers Victoria, Editors Victoria, the Australian Catholic Press Association (ACPA) and Communicators for Religious. As a writer and communicator, Anne continues to work with many organisations to help give voice to their stories. Anne is based in Melbourne, Australia.